The reports have gone out, they may look different than other schools, and the content may be different as well. You had hopes that the work that was done over the summer would show. Or perhaps you hoped the rest you gave them over the summer would refresh them for the beginning of the year. Some of you may be celebrating successes, and others may be encountering obstacles. In this blog post we are getting to talk about what it means for both sets of parents, guardians, and families. 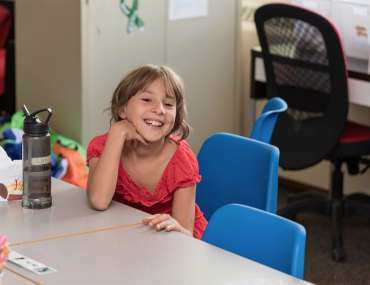 In the first scenario, there is a child in grade 4 who did very well in kindergarten through grade 3, but is struggling in language arts and mathematics work this year. The report may make a series of recommendations that have the tone of negativity, or even worse, teacher jargon! The teacher or special education resource teacher (SERT) may suggest an Identification, Placement, and Review Committee (IPRC) meeting, assessments, extra accommodations/modifications, or something even not listed here. There is one thing you need to remember when your struggling child is given a less than stellar progress report: Your say matters. The education system may make any recommendations felt as necessary but in the end they should not be implemented without your approval. 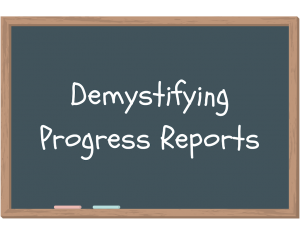 Progress reports are designed to be an introduction to how the student gauged at the beginning of the year, identify potential red flags that could come up, and what might be useful interventions. On the other side, if you want to implement these interventions it is important to get the ball rolling quickly which includes calling the school, setting up appointments within the board, and even having an educational advocate can be beneficial. On the other side of the coin, what if we have a grade 5 student who is excelling academically, but their behaviour seems to be sliding – what should we think of their progress report? In cases like this, the challenge lies in ensuring the child is in fact being challenged. It is very hard to individualize a broad curriculum for an individual student. The question the parent in this scenario should be asking is why the behaviours are taking place and what proactive measures have been put in place to address the concerns. Lastly, in both scenarios above, and for every child in the school system, be sure to ask for frequent assessment. In the end, progress reports should not be a surprise. It is a document that represents your child’s performance in factors and outcomes identified by the Ministry of Education. Performance is measured based on samples from other students across the Province. Progress reports are not tailored to your child. Imagine you have a box, and your child is a sphere. 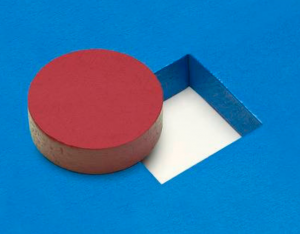 A progress report informs the parent or guardian that your sphere either did well or has areas for improvement in the box’s world, with the box’s expectations, and the box’s rules. 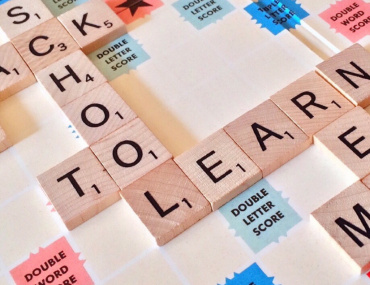 In the end, do not use your child’s progress report as high point or low point, but as a directional guide to your child’s learning style and preference.